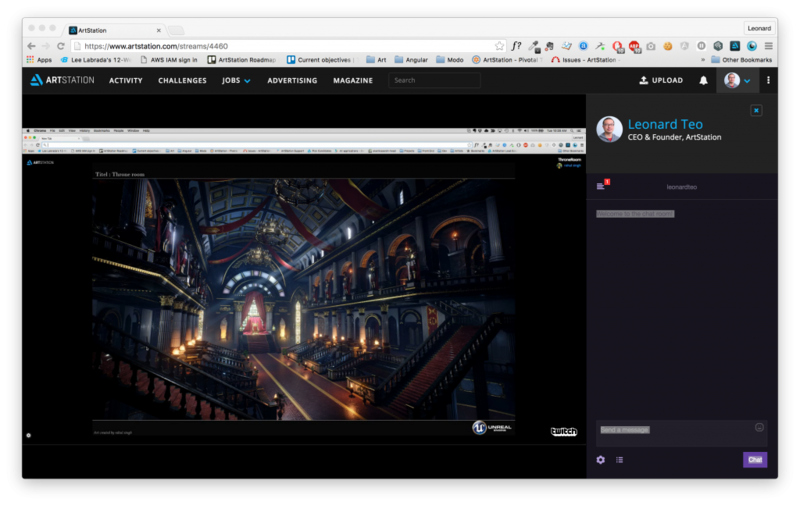 Back in March, we integrated Twitch Streaming for the ArtStation Challenges. We’ve now opened it up to all ArtStation members to stream with Twitch to the ArtStation home page. 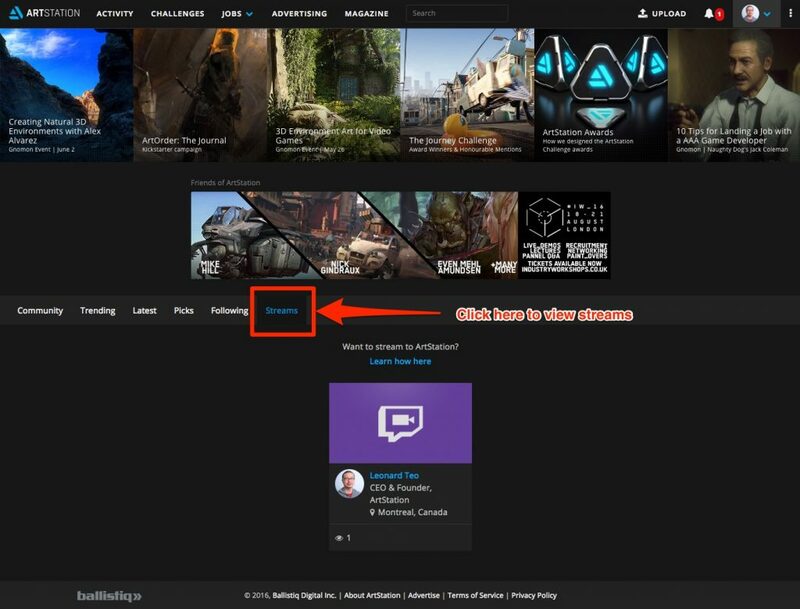 We now have a Streams wall on the home page of ArtStation to view all active streams from ArtStation members. We now have a Streams wall on the home page of ArtStation. You can view streams on ArtStation and chat with the artist streaming. Artwork by Rahul Singh. To stream to ArtStation, please read this article.